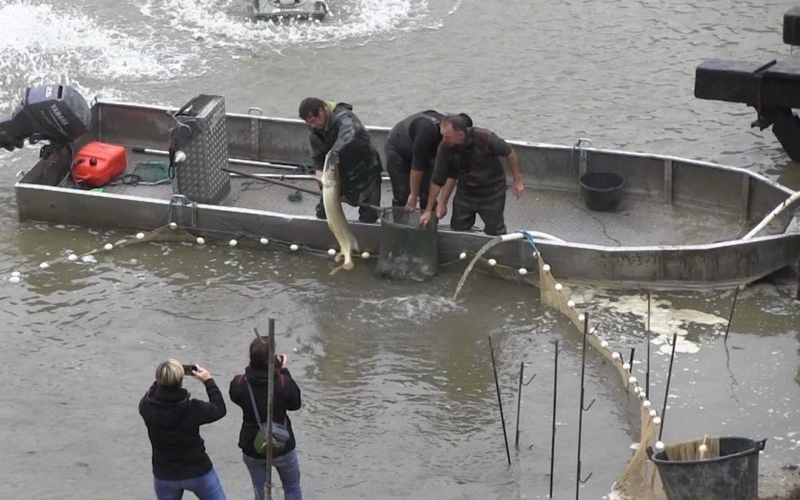 During the draining of a big public lake in France multiple big fish surfaced. The many spectators feasted their eyes on 20+ kg carp and a huge pike from Saint-Ferréol lake in Southern France. 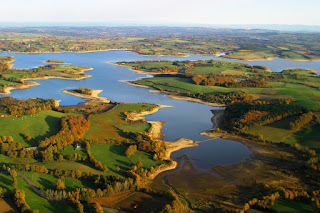 This October the huge public reservoir of Saint-Ferréol was in France was emptied, as is required every 10 years by the government in order to inspect the dam. With just a little bit of water left in the 'bassin de Saint-Ferréol' a huge quantity of fish were captured. French media is talking about a total weight of 4,5 tonnes of fish, including some big carp and pike. Several specimen fish were recovered by professional fishermen that have transported the fish to nearby waters. The dam repairs will be finished next spring. Upon completion the lake will be filled up again and the French authorities will put in 3 tonnes of new fish into the lake, that is filled up automatically by several little streams. 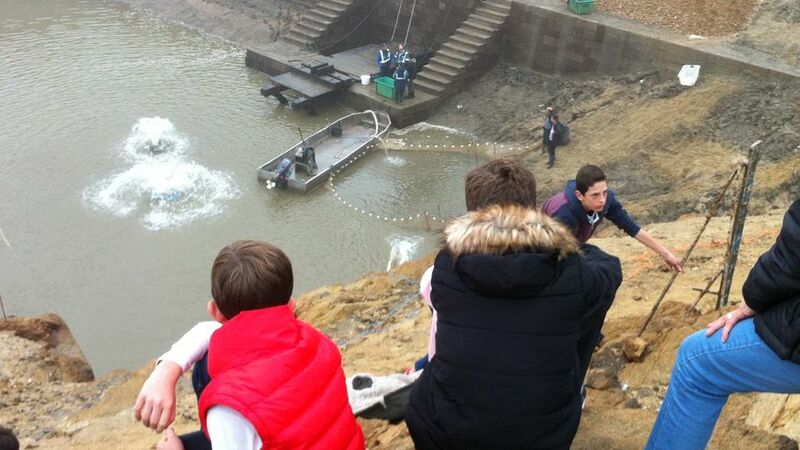 The video below shows some of the fish captured during the final stages of the emptying of the lake. 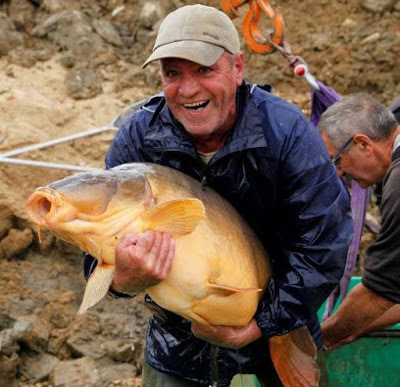 The lake of Saint-Ferréol near the town of Revel in the French Tarn region is (or rather: was) known for it's big carp, with fish of more than 20 kg captured over the last couple of years. Night fishing was/is not allowed, and during the summer days many tourists are bathing and swimming near the beaches of the lake. In 2013 an article was published in the French media displaying a huge mirror carp of more than 20 kg.